We're celebrating our 16 year anniversary! We didn't get to celebrate 15 years last year so to make up for it we're celebrating not one, but two nights this year. 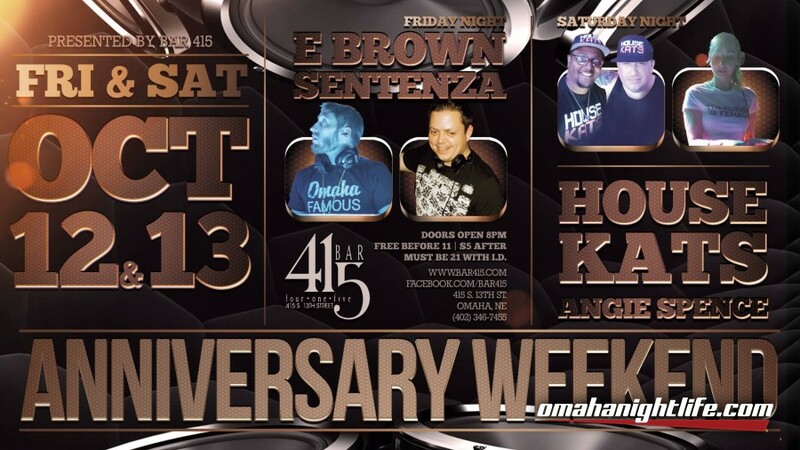 We're bringing you a full anniversary weekend of local favorites. Friday night we're getting it started with E. Brown and Sentenza. Saturday night we have the House Kats keeping the party going with Angie Spence. Thank you for supporting us for 16 years. Don't miss this! 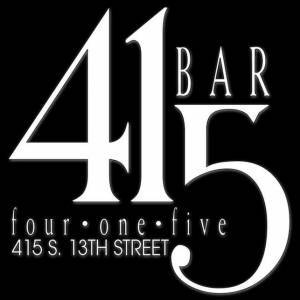 Bar 415 is the most unique and traditional bar/club in Omaha, celebrating electronic music with the best local and international guest DJs.